Our 2011 year-end report at long last! 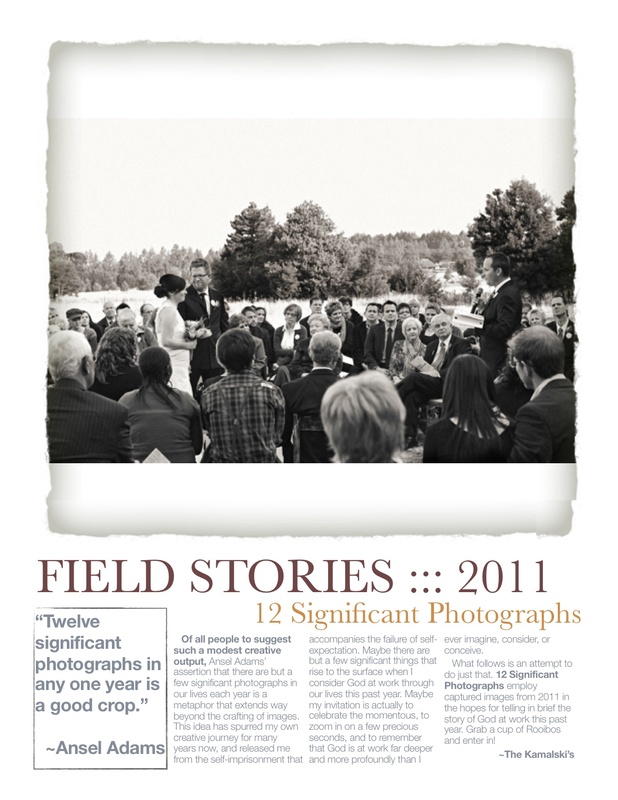 Download ’12 Significant Photographs,’ our 2011 year-end report here. “Twelve significant photographs in any one year is a good crop” (Ansel Adams). Of all people to suggest such a modest creative output, Ansel Adams’ assertion that there are but a few significant photographs in our lives each year is a metaphor that extends way beyond the crafting of images. 12 Significant Photographs employ captured images from 2011 in the hopes of telling in brief the story of God at work this past year. Grab a cup of Rooibos + enter in!